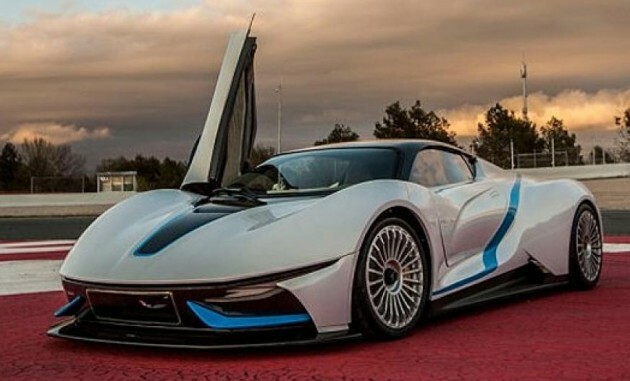 Two images of a new all-electric supercar concept from the Beijing Automotive Industry Corporation (BAIC) have leaked online. According to several reports, the Chinese state-owned car maker is gearing up to debut the unnamed model at the coming 2016 Beijing Motor Show. With the silhouette of a Ferrari 488 GTB and a paint scheme that reflects a white BMW i8, the concept model is undoubtedly stylish. Scissor doors complete the futuristic look. There’s barely a look inside the vehicle, though, but seating is reportedly just for two. Autocar writes that the concept measures 4,570 mm long, 2,040 mm wide and 1,214 mm tall. 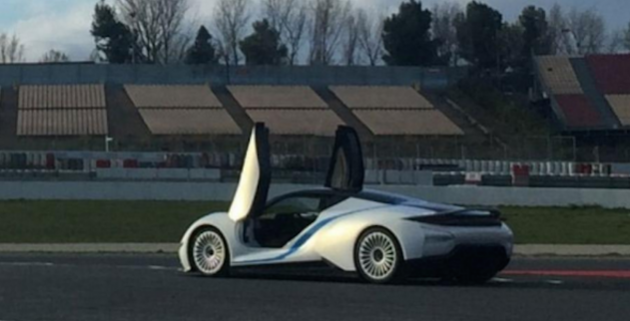 It adds that the supercar will feature variable ground clearances according to each drive mode. In Economy mode, clearance is at 120 mm. In Comfort, it goes down to 100 mm and in Race it drops to just 80 mm. With its powertrain kept a secret, several reports speculate that the BAIC EV supercar concept will be able to perform the century sprint in under three seconds and has a top speed of 257 km/h. Its full electric driving range is said to be around the 300 km mark. The publication adds that a production version of this concept will go on sale later this year, geared to rival road-going versions of the Faraday Future FFZERO1 and the Rimac Concept_One. or put a pair of kidney grills and it becomes the new M1. Apart from colour scheme it’s actually looks nice ! Colour scheme and ‘super car’ shape at first glanced reminded me of the BMW i8.